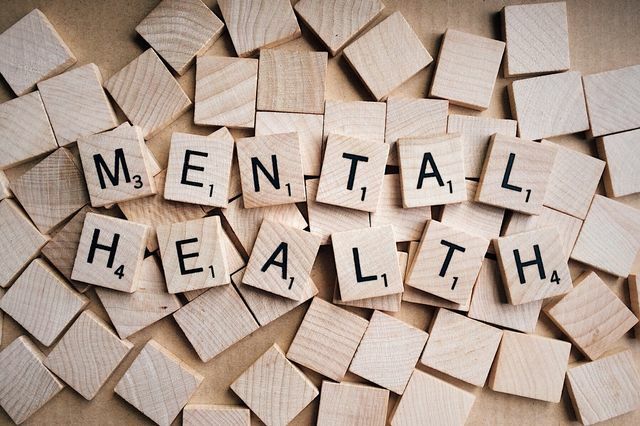 For Mental Health Awareness Week, our HR Consultant, Joe Glover, looks at the stigma of mental health in the workplace – and how to break it down. In October,I wrote about starting a conversation on mental health, and talked about a friend on my football team who was dealing with depression. What I didn’t look at, though, was the reluctance to share experiences of mental health that many people have. Often, this reluctance comes from not wanting to make others feel awkward or embarrassed. This makes sense if it’s someone we’re not close to – we probably wouldn’t share a sore knee, or sickness bug, with an acquaintance at the supermarket. But what about our friends or families? Or our employer? According to Business in the Community’s Mental Health at Work 2017 report, 60% of people reported experiencing mental health issues because of work. In reality, this figure is probably much higher. Finding it difficult to concentrate because of something that’s happened at work, worrying about not meeting expectations or deadlines, or lying awake at night, stressing about what’s got to be done the next day all adds up – and has a negative impact on overall wellbeing. We’re much less comfortable acknowledging mental health than we are physical health. Most people have no problem admitting that working at a desk has given them a stiff neck, complaining that standing on their feet has hurt their back, or blaming a colleague for giving them a cold. But, of the 60% mentioned above, only 11% told their line manager. That’s just one in six; the other five continued without asking for support. I’d been thinking about this, wondering why people don’t reach out for help when they’re experiencing poor mental health. Then, last week, I answered my own question. I was about to present a training workshop, which I’ve done many times. But, this time, my chest felt tight, I had a dry mouth, I felt sick, and my vision was distorted. I couldn’t shake the feeling – and I thought about that anxiety all through the weekend. On Monday, my boss asked how the training went. Automatically, I said it was great, without any problem. Before I knew it, I’d hidden the truth from someone who could help. I’d been frustrated because I couldn’t stop my anxiety – but if I’d caught a cold, would I be angry at my immune system? When I later told my boss, he advised me to just keep talking – which is what I’d encourage you to do, too. Share how you’re feeling. If talking to your line manager feels too much, start with a colleague or friend. And, if you’re an employer or line manager, be ready to talk: it's your responsibility. Review your policies. Mental health should be recognised in the same way as physical, training, and personal development. Being a responsible business means taking responsibility for your employees’ wellbeing.